Chef and restaurateur Heaven Lee has gotten into plenty of scrapes in her hometown of Kansas City, Missouri. This time around, she's cooking up trouble in New Orleans while visiting to help the Sisters of the Holy Trinity hold their annual benefit dinner. The convent is having financial problems and only Heaven Lee's culinary creativity can offer hope. 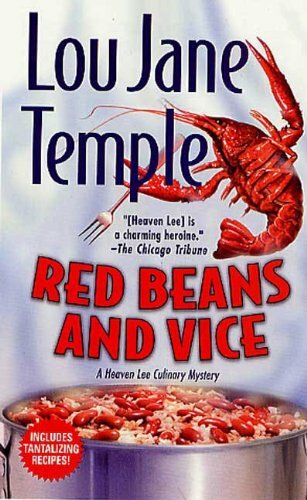 Unfortunately, before she can really get cooking, Heaven's old friend Mary's husband, HeavelkjTruely Whitten, coffee importer and native New Orleanian, is found murdered with Heaven's own knife. To make matters worse, the convent's sacred cross simultaneously turns up missing. When she becomes the prime suspect, Heaven has no choice but to put her pots and pans aside and pursue the villain in order to both clear her own name and get dinner on the table in time for the big benefit. Heaven's smart, saucy attitude spurs her on in the search for the vicious murderer as well as for the perfect New Orleans dish to serve the Sisters. When all else fails, she finds the answers to both puzzles right under her own nose, saving the day and serving up a new signature Heaven Lee dish, Nola Pie. The delectable dessert is guaranteed to tantalize readers' taste buds and the satisfying mystery will leave them begging for seconds.